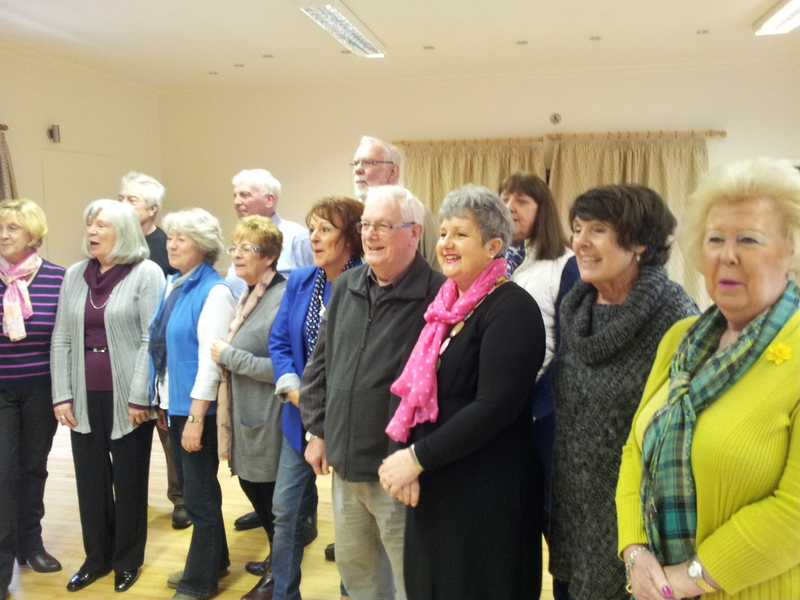 An established open, inclusive Natural Voice Singing Group on a Wednesday morning. Guaranteed to enliven and uplift your week, enriching the community fabric of this picturesque and famous village. The lovely village hall is right next to the even lovelier village pub! We focus on enjoying the group sound, choosing whichever range our voice feels comfortable in and having fun with songs and harmonies from many varied cultures and traditions – including Welsh. You do not need any previous experience or musical skill to join in, but if you have some, that’s great too, We learn by ear and sing in harmony. Words and recordings provided (and music if I’m bribed sufficiently). All ages and abilities welcome. Anyone welcome to come and try it out, see if you agree with the reports of increased confidence, feelings of well-being, stress-relief and increased social inclusion. Here are some recordings from our sessions. They are intended as reminders of how the songs go and mementos of our glory years (!) rather than finished performances.